To help develop Nepal's next generation of students, professionals, innovators, and leaders, by providing Nepali youth with a safe home to be happy and healthy, and the education they need to make a meaningful difference in their home country. 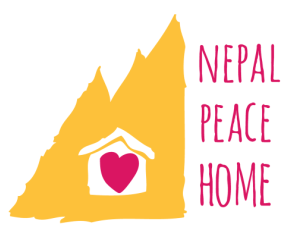 To construct a Peace Village, centered around a Peace Home for the children of Nepal, comprised of local women who are victims of domestic violence and the children who are either unwanted or whose families cannot provide for them. This village would be a model of what we hope for all of Nepal: an end to the violence, inclusion of Nepal's marginalized and disenfranchised people, and a spirit of charity and unity. Nepal is a nation plagued by civil war and political unrest. Many families are without mother or fathers as a result of violence, which is why non-violence is such an integral part of the vision for the Peace Home. Nepal is home to a vast and diverse population of ethnicities, religions, languages, and castes. Many of the children at the Peace Home have lost parents who would have fought against each other for one or another of these reasons. The Peace Home is an environment where children grow up side by side with one another, regardless of background or heritage, and are taught brotherly love rather than hatred for those who are "other." Central to the success of these children is the belief that everyone has the right to an education. An education opens up a world of opportunities for a child in Nepal, from career paths to a deeper understanding of the world we all share. The promise of education is a richer, fuller life, both for the individual and the people he or she touches, which is why we strive to provide these children with as extensive an education available. While living at the Peace Home, the children attend a private, English-speaking school. Once they graduate, they will attend Nepal's first stage of higher education, known as "Plus Two," where they will choose a major to pursue and move out of the Peace Home and in to a student dormitory in Nepal's capital, Kathmandu. Following Plus Two, Nepali students attend three years of undergraduate college, and receive a degree. The Peace Home's first graduate, Nima, just began his first year of Plus Two. Our goal is not simply to educate these children so they can make a better life for themselves, but to shape them into leaders who wish to improve Nepal as a whole, who can return to their homes and communities and empower them to progress, to grow, and to improve life for everyone. This is why we are so proud and happy to lend a hand to the children of the Peace Home, who dream of becoming social workers, pilots, doctors, teachers, and, yes, even presidents.